Of all of the parts on your garage door system, one of the easiest things that you can get and replace is the weatherstrip, which runs along the bottom and sides of your garage door, in order to make sure that your garage is well insulated. Over time, weatherstrip becomes worn and cracked, which means that it is no longer properly insulating your garage. This can allow hot or cold air to seep into your garage, or even moisture, which can be very bad. For this reason, check your weatherstrip each year to make sure that it is doing what you need it to. If it’s not, simply head to your nearest hardware store to replace it. There’s a lot of moving pieces in your garage door system. One thing that they all consistently need is lubrication. For this reason, have an annual maintenance day where you go to each moving component of your garage door, like the springs and chains, and add some lubrication, such as lithium grease. 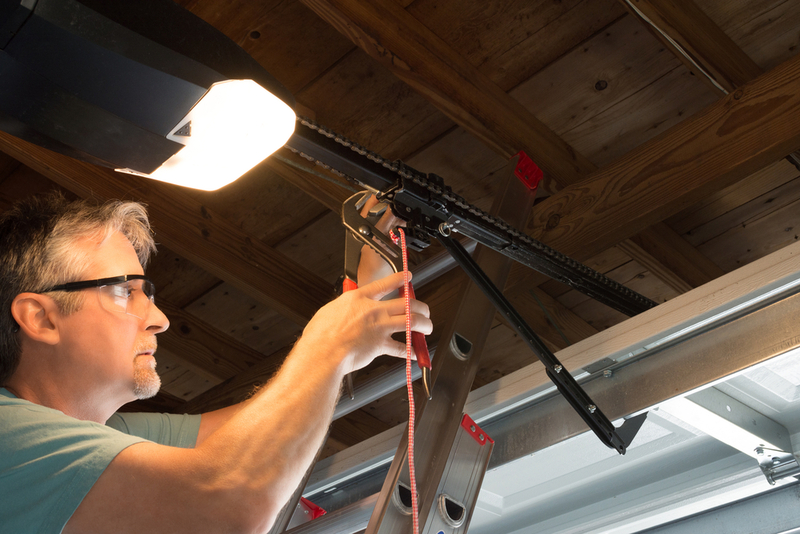 Many parts on your garage door can be difficult, or even dangerous, to replace. For example, the cables and springs that are used in a garage door system have a high amount of tension that make them hazardous to change or repair. If a cable or spring snaps, it can cause real, lasting damage to you or your property. Likewise, when dealing with your panels and opener, it’s probably best to call in a professional garage door technician. An important component of being a DIY homemaster is to know when a job is best left to a specialist.